If you want to serve delicious, nutritious home-cooked food everyday but don't have much time to do it, then here's a new way of cooking that can help you out and perfect for when time is short but you don't want to compromise on either taste or flavour. With the new Knorr Flavour Pots, creating fabulous meals infused with the delicious flavour of fresh herbs and spices is now extremely easy. Whether you are whipping up a quick mid-week meal or a culinary masterpiece, this innovative five pot range is set to help you in introducing flavour to your every day meals. You will find it in the Herbs & Spices aisle of your local supermarket and comes in five carefully chosen variants. Mixed Herbs, 3 Peppercorns, Curry, Garlic and Mixed Chillies. Each selected combinations, carefully capture all the fresh flavour, natural aroma and colour of each herb and spices. It is a must for your store cupboard. With this in mind, I have chosen two of the flavours and prepared a dish. For you to win a Knorr Flavour Pot Hamper, choose any one of the other three flavours and submit your recipe and a photo of the Dish. There are 3 Hampers to give away. The winning recipes will also be featured on this site with full accreditation. Competition closes on the 31st August. This competition is open to anyone in the world, Should you be a winner , your prize will be posted by registered post to you. 1. Mixed Chillies :This pot is crammed with vibrant chopped chillis that would liven up your meals and leave your taste buds tingling with a hint of heat. 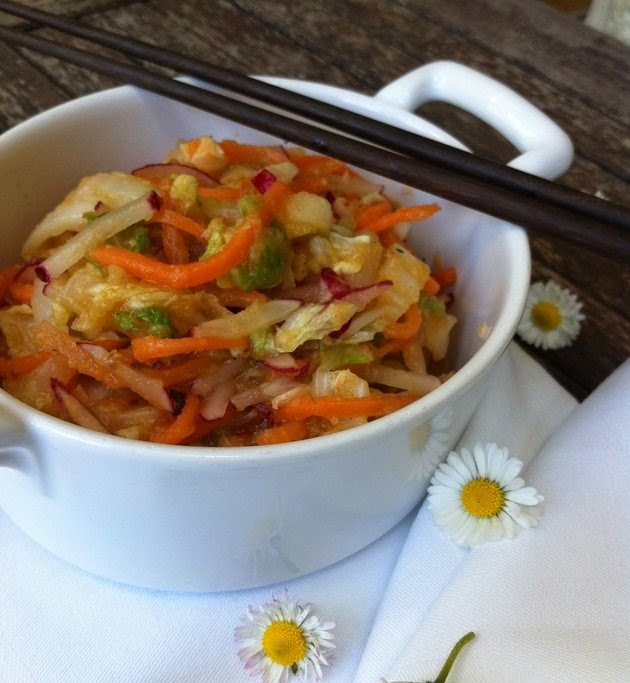 Perfect for a Beef stir-fry or Chilli prawns or as in here a very healthy Kimchi recipe. Bring to the boil. Allow to cool for a few mins then pour over the cabbage. Stir and allow to sit for 10 mins. Add the carrots & radishes. Allow to sit for a further 5 mins. Drain and rinse well under cold water. Pat dry. Place the onions, garlic, ginger& apple in a blender and blitz into a paste. Add the anchovy paste,chilli paste,sugar & mirin. Blitz once more. Rub the paste into the veg mix , add the toasted sesame seeds. This is ready to serve and doesn’t require fermentation. It will keep for up to a week in the fridge. 2. My second choice is the Garlic : Packing a pungent paste, this pot will deliver perfect results every time and enhance an array of dishes from spaghetti carbonara to a Moroccan stuffed chicken with garlic & preserved lemons or as in here a classic French potato dish of Gratin Dauphinois. Slice the potatoes very thinly on a mandolin. Rub a shallow oven proof dish with some of the garlic paste, butter generously. 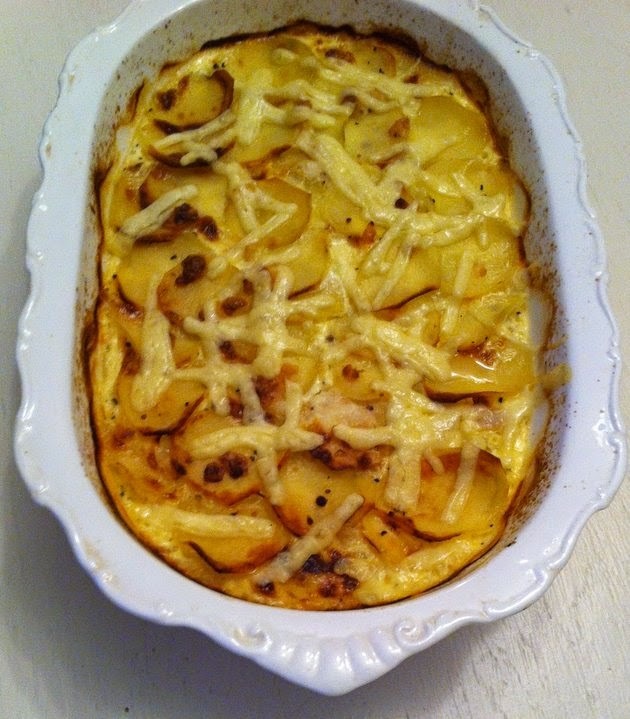 Cover the bottom with a thin layer of the cream, then a layer of sliced potatoes sprinkled with some salt, pepper, pinch of nutmeg and some of the gruyere. Repeat each layer finishing with the cheese, keeping some back to finish the dish later. Pour over the milk and the remainder of the cream. Cook in a pre heated oven at 165 c for approx 45 mins. 10 mins before the final cooking time, sprinkle the rest of the cheese over the top and allow to brown . Serve immediately. Here are the other 3 for you guys to play around with and experiment to win this Super Hamper of Knorr flavour Pots. 3. Mixed Herbs : a unique combination of thyme, oregano, rosemary and basil ensuring a perfectly balanced herby flavours. Use to compliment your pasta dishes , a cottage pie or as a rub for a marinade. 4. 3 peppercorn :This mix of 3 peppercorns will add depth to any dish. Whether used for a straightforward Steak au poivre sauce or a luxurious pork stroganoff . Beware though as it is quite hot. 5. Curry : A combination of 13 spices including cumin, cardamon and cloves will instantly add a touch of eastern promise to your dish. Use when you want to impress. 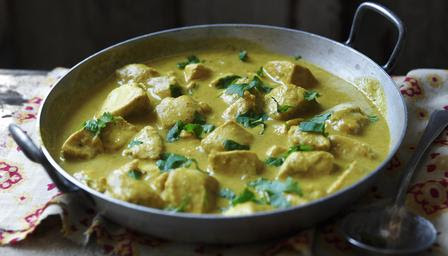 A chicken Korma has never tasted so goooood. Well, Good luck to all and I look forward to receiving your entries. Congratulation to the three lucky Winners of the KNORR FLAVOUR POT HAMPER and here are their Winning recipes. Cut the chicken into bite sized pieces, season with the blk pepper and stir in the yoghurt. Cover with cling film and set aside to chill for 30 mins. Meanwhile , heat the oil in a non stick saucepan and gently fry the onions, garlic and ginger until softened and lightly coloured. Stir in the chilli powder, bay leaf and the Knorr curry flavour pot, stirring constantly until the spices are cooked thru and fragrant. Next stir in the flour, sugar, ½ the salt and pour in 300 ml of cold water. Bring to a gentle simmer, cover and continue to cook for 10 mins or so. Remove the bay leaf, and blend the mixture into a smooth consistency. Drain the chicken in a colander, getting rid of any excess liquid and yoghurt. Add to the sauce followed by the cream. Cook for a further 10 mins until the chicken is tender and cooked thru. Adjust the seasoning to taste, spoon into a warm serving dish and garnish with fresh coriander leaves. Spaghetti and fresh parmesan cheese to serve. Heat the oil in a heavy base saucepan, and fry the pancetta until golden. Add the onions and continue to cook until softened. Add the garlic and beef and cook until browned. Cover and simmer over gentle heat for 45 mins, until it is rich and has thickened. At the end of the cooking time, stir in the basil and season to taste. Cook the spaghetti according to the packet instructions, drain and divide between warm plates. Grate some parmesan over the cooked pasta before adding the sauce and finishing with some extra grated parmesan, basil leaves and a twist of black pepper. Heat the oil in a saucepan, add the onion and garlic and sweat until soft. In a bowl , mix the beef & pork, add the cooked onions & garlic mixture. Add the Knorr herb pot , beaten egg , salt & pepper. Divide and shape into approx 20 meat balls. Cover and chill for 30 mins. In the same saucepan, gently fry the sliced onions and garlic until soft. Add the tomatoes and season with salt, pepper and the sugar. Cook on gentle heat , uncovered for 20 – 30 mins. 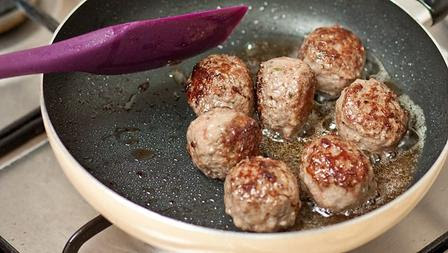 Now cook the meatballs in another frying pan until browned. When cooked, place in an ovenproof dish with the tomatoe sauce and top with the torn mozzarella pieces. Place under a pre-heated grill until the cheese has melted. Serve immediately with pasta of your choice, a creamy mash or some crusty bread. Congratulation to our 3 Winners , Well done and your Knorr hamper is on it's way to you.